Meet the people who make up Apex BASE! From our athletes to our employees, we’re all a family and we appreciate the trust you place in us! Dave Barlia began BASE jumping in California in 1991. He spent most of the early 90’s jumping objects of all types, but his passion has always been slider-up cliff jumps. Dave made his first wingsuit BASE jumps in Lauterbrunnen in 1999 and was the first person to jump a wingsuit off the Eiger. He was also one of the first to discover the big walls of the Sam Ford Fjord on Baffin Island. A true BASE legend through and through, Dave currently lives in Mürren, Switzerland with his wife Karleen and son Bodie. Elliot has a love for anything that flies. Starting off younger than most Elliot was flying ultralight airplanes at the age of 12, skydiving since 1999 and BASE jumping since 2004. These days he continues to fly commercially and helps to operate multiple skydiving operations around the US. When not playing, he’s fighting for freedom as an Air Force JTAC after over 23 years of combined military service. He will always advise to live a little and laugh a lot. Chris Carnahan is a Southern California jumper who started BASE Jumping in 2006 and skydiving in 2000. He spends his time traveling the world to take part in both international and local events making amazing friendships along the way. When not in the air, he can be found patrolling the streets of Los Angeles as a Police Officer in South Central, cage diving with Great Whites, or just enjoying motorcycle rides along the coast. He is always seeking new adventures with friends and will continue to take risks and enjoy life. Everyone knows Jeb. He’s been BASE jumping for 19+ years logging over 1500 BASE jumps in 20 countries and on 6 continents. His early BASE career was heavily focused on aerials in both the slider off and slider up environments, but most of his recent work is in the WS BASE arena. 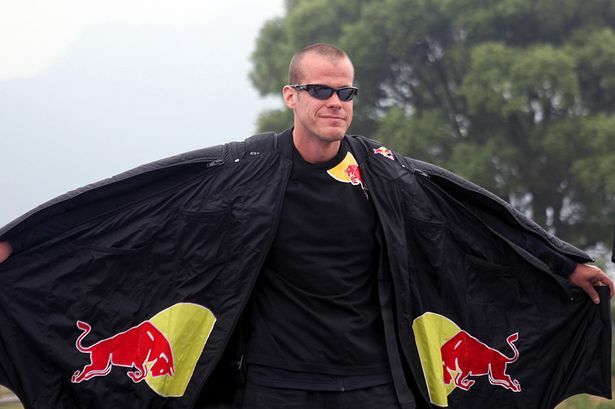 Few, if any, BASE jumpers are more publicized and known to the general public than Jeb Corliss. 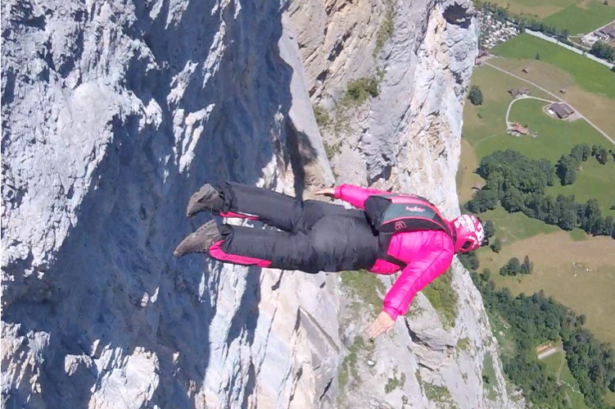 Arlette started skydiving in 2008 and BASE jumping not long after in 2009. Even though she’s a well-rounded jumper, Earth has earned a special place in her heart. 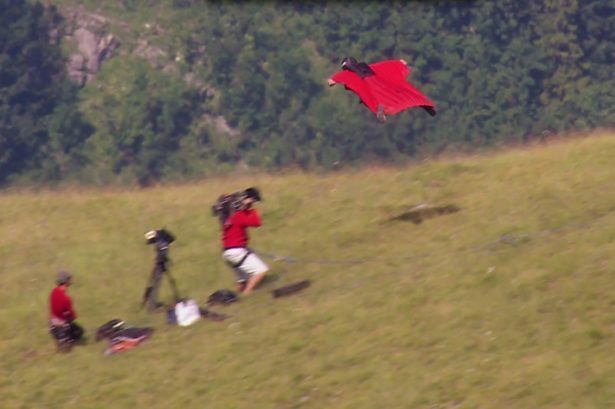 Arlette grew up in Europe and has found new incentives to travel back home…along with her wingsuit. 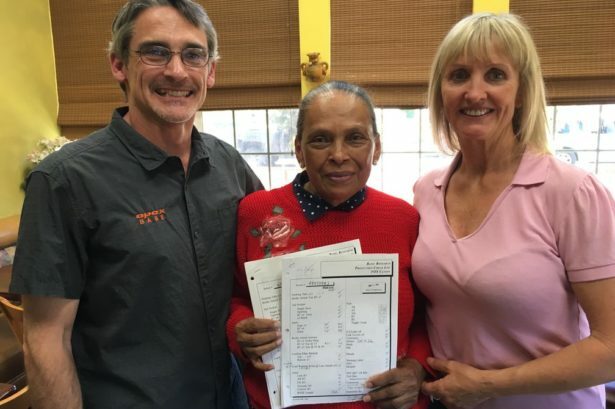 Since 2003 Arlette has been a commercial pilot in the United States, currently as a Captain for a private business charter company flying the rich and famous all over the country. See what Arlette is up to on IG! Lawrence de Laubadere (or “LDL”) works the skydiving boogie circuit all year and BASE jumps mostly during the summer in Europe. He’s accumulated over 4,000 skydives and 160 BASE jumps in his short 7 year career. When he’s not skydiving or BASE jumping he volunteers with a disaster relief organization around the US and the world. Lawrence is a Pro-rated skydiver performing demos throughout the year and is also a freefly, tunnel and wingsuit instructor and coach. 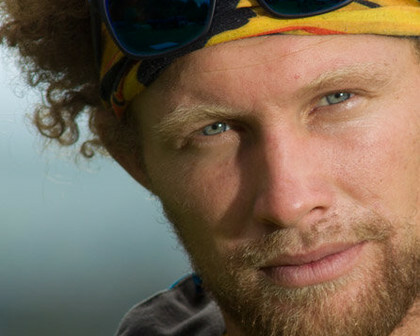 Andy Lewis is a world renowned adventure athlete with deep experience in climbing, highlining, rigging, BASE jumping, skydiving, stunt creation, performing, and speaking. He is regarded as a leader in the communities he supports, and receives support from. Andy works in coordination with the world’s top adventure athletes and the largest adventure sports companies in the world. He holds a list of championship titles and world records. It might not surprise you that Andy was a highly distinguished Eagle Scout…but you may not have known that he also graduated Valedictorian of his University. On the BASE side, Andy is widely known for his unique jumping style and his charge to “make slider-off fun again.” Andy is a low jump specialist and excels in opening new exits. 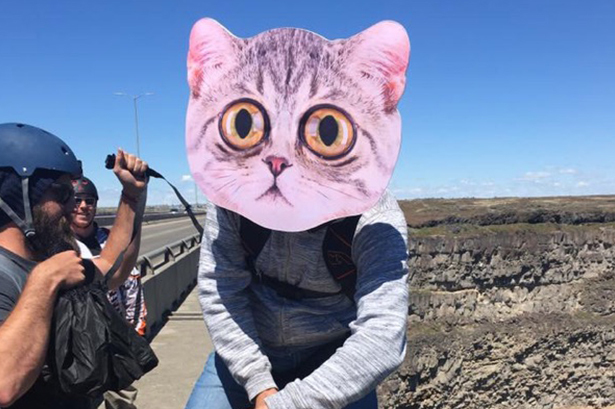 Lewis has attended, created, hosted, and managed BASE jumping festivals around the world with his most notable BASE creation being the famous Space Net Series present at recent Turkey Boogie and GGBY gatherings. You may have been a part of the KL tower meeting where Andy played a key role in rigging the original KL rope swing. Andy’s drive, creativity and energy is palpable and endearing. When you’re trying to look busy at work, have some fun watching his many online videos under his stage name “Sketchy Andy.” From hot air balloon highlines, to 3000′ long zip lines, BASE-lining, landing parachutes in pools, landing parachutes on desert towers, BASE jumping off highlines, the list goes on. You can follow his current daily desert adventures on Instagram (@SketchyAndyLewis) and his Facebook profile. Andy resides in the heart of Moab, Utah where he makes a living as a professional athlete in addition to working at Skydive Moab as a Tandem Instructor. With Apex, Andy helps test new ideas and provides feedback on existing designs to further our quest to find the perfect balance of: low weight, ease of use, and the ever-important durability and longevity in the harsh Moab environment. 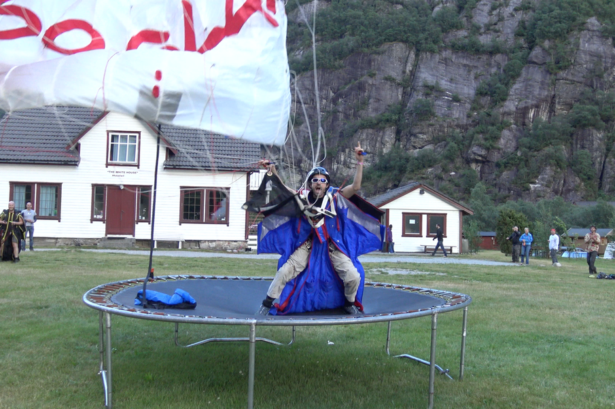 Brad “Patto” Patfield has been BASE jumping close to 10 years with a few of those years as the Lead Instructor in Norway at the Stavanger BASE Klubb (SBK) in the beautiful Fjords of Kjerag. The ever-humble Patto is one of the world’s premier two piece tracking masters, but is quick to tell you that he’s merely “average.” Patto is still actively jumping, but trying to remain a little more “low key” these days after so many years of being on the forefront of all things BASE. Brad Perkins found his love for the sky at age 18 and never turned back. He started his skydiving career at Skydive Dallas, where he found his second family and devoted himself to the sport. After years of skydiving, Brad found BASE jumping and immersed himself in the sport that allowed him to challenge himself and further his quest for flight. After 9 years and over 1,300 skydives and 450+ BASE jumps, he’s a freefly organizer, wingsuit organizer, and coach. Brad, along with Luke Hively, is one of the founders of Dallas BASE Crew. Brad is committed to living life and has a grounded respect for the earth and sky. He focuses on living his dreams by traveling the planet, pursuing freedom, and chasing the next adventure. Charity Perkins began skydiving on her birthday in 2009. A couple years later, she started working at Skydive Dallas (now Spaceland Dallas) as a freefall videographer and freefly organizer. She is a part of the SiS organization and regularly helps organize events at her home dropzone. 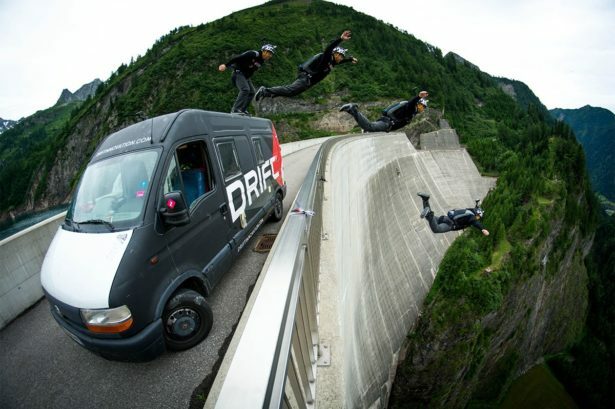 Charity started BASE jumping in 2012. She made her first big wall jumps in 2013 and has been hooked ever since. On her 30th birthday, she flew to Norway for her first heliboogie – and she’s has gone every year since then and doesn’t plan on missing one any time soon! 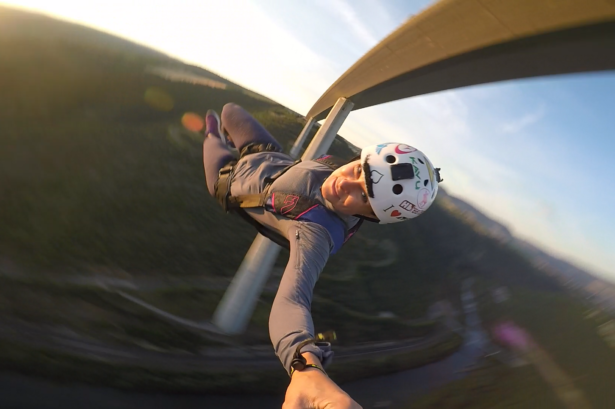 Charity’s favorite thing about BASE jumping is meeting incredible people and then getting to make epic jumps with them in incredible places. She says jumping with her husband, Brad Perkins, isn’t so bad either. When she’s not adding to her 2,000+ jumps, she enjoys traveling and exploring the world. 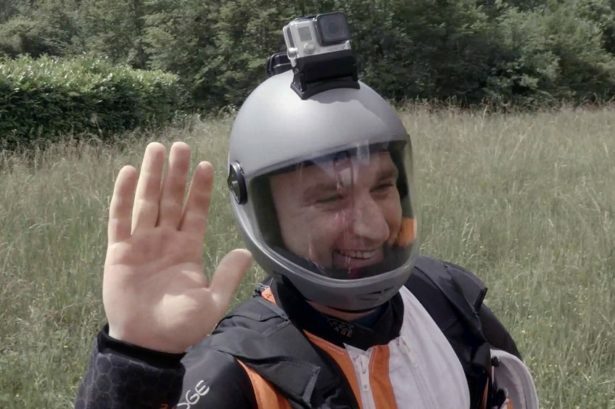 Andreas Podlipnik, owner of Pressurized, started BASE jumping in 2003 with Apex BASE (then known as Basic Research) in Twin Falls jumping a Prism and FLiK in his earliest years. 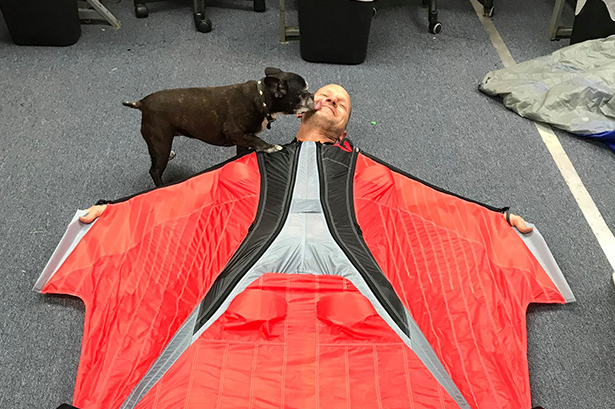 Eventually Andreas discovered a passion for developing his own tracking suits and went on to form Pressurized where he continues to build the finest tracking suits in the world, teach First BASE Jump Courses, and organize BASE jumping events worldwide. In addition to his business and BASE life, he is often in the mountains with his paraglider and enjoys family life back at home. 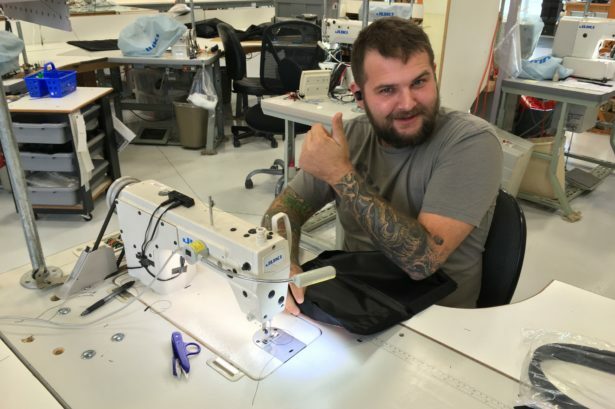 Trevor is the lead behind our Instagram page (Apex BASE IG) and has a hand in some of the development of products and pieces of equipment in the Apex inventory. Trevor has been BASE jumping since late 2010 and skydiving since early 2009. He loves every letter in B.A.S.E. and stays current in all styles of jumping. Trevor is a former Navy SEAL and was a member of the Navy Leap Frogs demonstration skydiving team for 3 years. When not BASE jumping or skydiving Trevor has begun working in the Humanitarian, SAR and Aid work field, most recently after Hurricanes Irma and Maria in the Caribbean. Update: The world lost Mike Racicot on July 26th, 2018. Mike was a wonderful human being with an infectious energy and positive attitude. 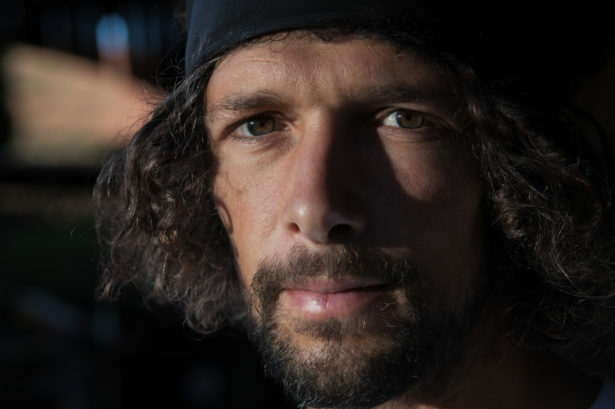 He was amongst the most skilled all-around BASE jumpers on the planet and he will be missed by everyone who was lucky enough to have known him. Working with Mike was an absolute pleasure and we’re deeply saddened that we won’t have the honor of working with him for many more years to come. Our deepest condolences go out to Mike’s family, his puppy “Taco” whom he adored, and the entire BASE community up in Squamish where Mike was a pillar of positive energy. Rest in peace “Treehouse” Mike Racicot. “Treehouse” Mike Racicot began BASE jumping in 2008. Always in search of new challenges, he has since traveled the world to follow his passion. Working as a Carpenter in Squamish, British Columbia, his backyard provides him with a valuable playground which keeps him inspired and helps perfect his skills. From slider down aerials to big mountain wingsuit lines Treehouse loves it all, and enjoys jumping every day before work! (We’re not kidding.) If you find yourself in the Pacific Northwest, Treehouse is an invaluable resource for local objects of all varieties. 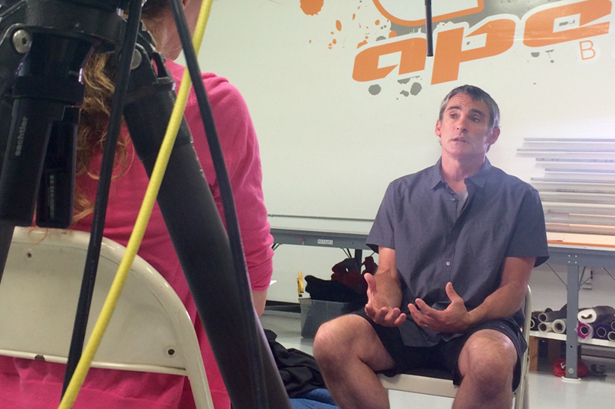 Jimmy Pouchert has been skydiving for 22 years and BASE jumping for 14. Jimmy was actually taught the art of BASE by his now wife and co-Instructor Marta Empinotti. While residing in Moab, Utah he and Marta were part of the founding crew of the original Turkey Boogie. Jimmy and Marta spent many years building BASE gear under the name “Vertigo” before partnering up with Todd Shoebotham (and a few others) to form Basic Research, now known as Apex BASE. Jimmy has done it all: rigging, competitive freeflying, skydiving and BASE demonstration jumps at home and abroad, unique BASE expeditions, and everything in between…there are few people on the planet with skydiving and BASE jumping knowledge as broad or as deep as Jimmy’s. 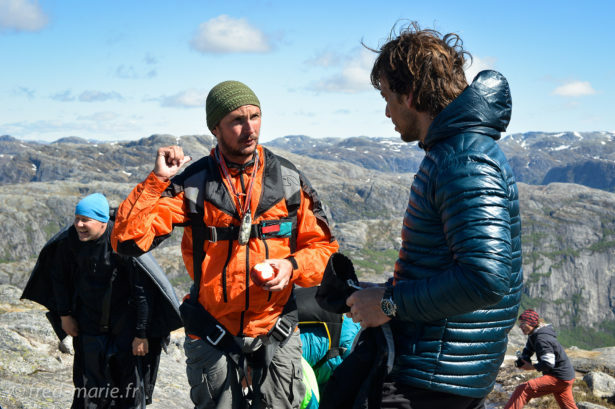 These days you’ll find Jimmy alongside his wife, Marta, teaching Apex BASE First Jump Courses, Advanced Courses, and leading Coached Apex Expeditions all around the world! Marta first got into BASE during its infancy in the 1980’s Florida BASE scene. Since the very beginning of her time in the sport, Marta has been deeply involved with BASE equipment manufacturing and development, test jumping, teaching, and event organizing. She has numerous television and print appearances as well as performed successful demo jumps and stunts in the U.S. and abroad. BASE has been both her job and passion for over 20 years. These days you’ll find her alongside her husband Jimmy teaching Apex BASE First Jump Courses, Advanced Courses, and leading Coached Apex Expeditions all over the globe! Luke Hively made his first 86 skydives in 1983 in his mother’s womb and grew up on an airport as the child of two accomplished skydivers. 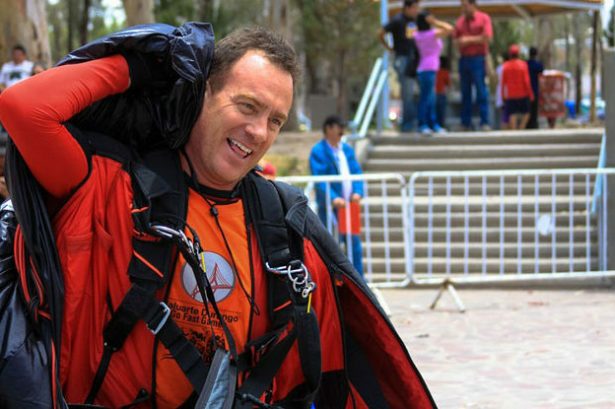 He followed his parents’ footsteps and began skydiving at age 15 (1999) and BASE jumping in 2004. With a lifetime immersed in the sport he’s proud to be well-rounded and competent with 3,000+ jumps across nearly all disciplines (freefly, RW, video, CRW, wingsuit, BASE, freefly BASE, wingsuit BASE, etc.). In competition, he’s earned a silver medal (Freefly) at the U.S. National Championships, two gold medals (Freefly), and several Largest Formation Records (Freefly & RW), but his proudest moment came when he competed in the US Nationals on an RW team with his father, placing dead last and having more fun than any other team in the competition. When he’s not jumping, Luke’s day-to-day activities include snowboarding, skiing, speed riding, mountain biking & rock climbing. 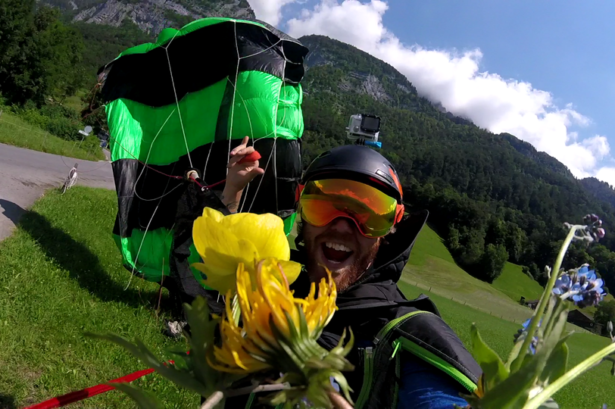 Catch him year-round in and around the Lauterbrunnen Valley (Switzerland) and elsewhere as he travels the globe jumping, coaching Apex European Expeditions, and living the good life! Hailing from the Republic of Serbia, Dimitrije (dee mee tree yee) began parachuting as a member of the Serbian Military Special Forces. 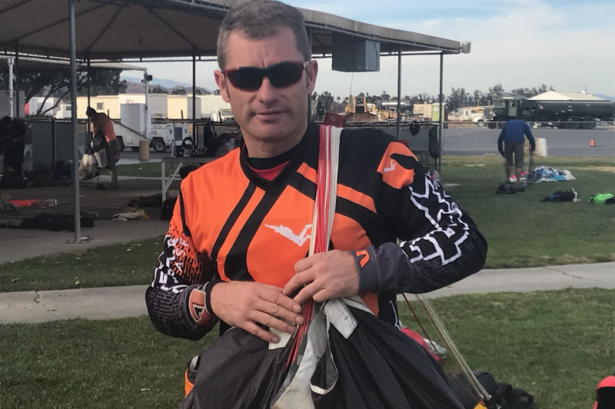 With over 9,000 skydives he’s a USPA Coach/Examiner, Static Line Instructor, AFF Instructor, Tandem Instructor/Examiner, S&TA, and an FAA Senior Rigger. He’s also a member of the skydiving demo team “Fastrax” and coach/co-owner of Elite Canopy Dynamics. Dimitrije is a total pro in the skydiving world. We trust Dimitrije to provide BASE canopy coaching in the skydive environment to jumpers looking to get coaching from a true canopy professional, and in an environment that is ideal to learn the full range of your BASE canopy. 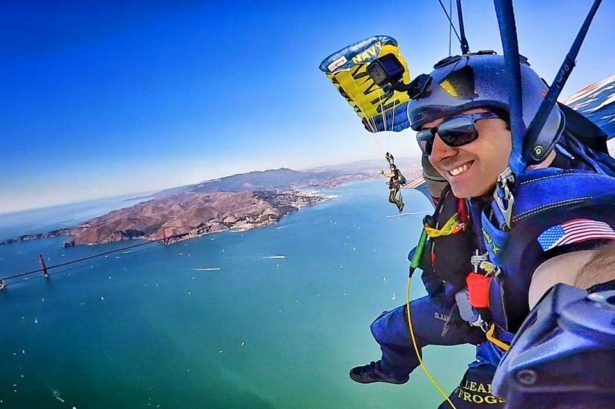 Dimitrije is based out of Skydive Perris in California, but travels to provide coaching when appropriate. Todd Shoebotham has been at the forefront of BASE jumping since it’s earliest days. One of the original manufacturers of BASE specific containers and canopies much of the BASE technology we take for granted today (e.g. Tail Gate, Bottom Skin Vents) was developed under the watch of Todd and the other founders of Basic Research (now Apex BASE). Todd is still actively BASE jumping, operating President and Owner of Apex BASE, and proud husband and father of two sons. Joe Putrino works in the Apex shop in Southern California. 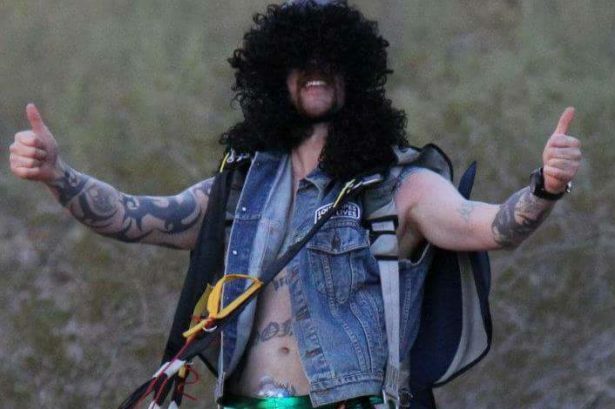 He’s been BASE jumping since 2013 and skydiving since 2011. When he’s not in the shop he works as a Tandem Instructor and Videographer at Skydive Perris. A jack of many trades and an expert at none, he dabbles in everything from tunnel flying to WS BASE and everything in between. “Jojo” (pronounced “Yo-Yo”) is an independent FAA Master Rigger and he’s responsible for quality control on all Apex canopies and containers. This means he’s not actually an employee, but an independent contractor who we hire to ensure that there are zero conflicts of interest during the QC process. Jojo doesn’t care if we’re trying to keep up with lead times, or trying to get your gear done before your big BASE trip, or about anything except making sure that every piece of equipment that leaves this shop is up to his highly rigorous, highly precise, and highly German standards. 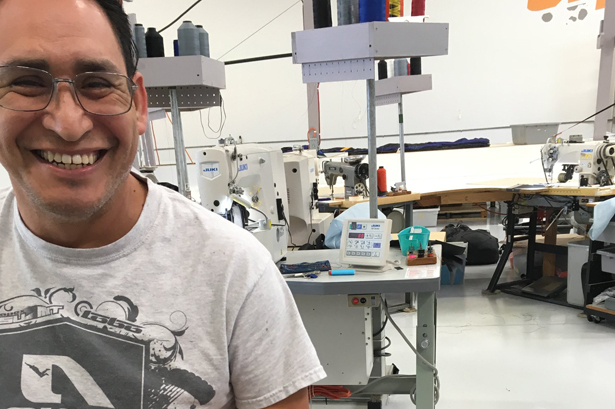 Jojo owns and operates the “Thrill Inc.” rigging loft in San Diego, CA and has helped develop multiple products for Apex BASE including the Remove-A-Slider System, the Static Line Shock Absorber Bridle, and more. His rigging knowledge is deep in both skydiving and BASE gear. Rigoberto “Rigo” Anaya is the lead harness/container builder at Apex where he has been building BASE gear for 18+ years. When he’s not hanging out with us in the shop, Rigo loves spending time at home with his family! Lourdes took over as our lead canopy builder when Francis retired in 2018. 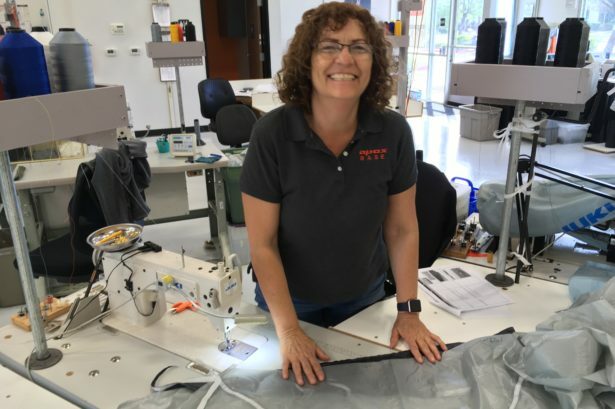 With over 30 years of sewing experience she took to canopy production quickly and impressively while training under Todd and Francis. Outside of the shop Lourdes enjoys camping, attending her local church, and spending time with her two children and five grandchildren. Nicole joined our team in 2018 and immediately impressed us with her skill. 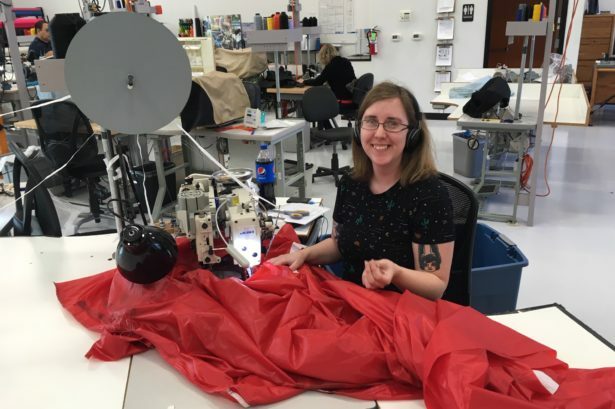 She works alongside Lourdes building canopies and the speed at which she advanced through our training program impressed everyone in the shop, including our Quality Control Guru Jojo Pfahler (which is no easy task). When she’s not in the shop Nicole enjoys reading philosophy, writing, and spending time with her son Nikolai. Did you crash your canopy into a tree? Zach is here to help get you back in the air! With our team since 2017, Zach is a Senior Rigger and helps with canopy/container repairs, accessory construction, and a wide range of rigging needs. When he’s not hanging out with us Zach spends his time working as a Tandem and AFF instructor, paragliding, speed flying, and mountain biking. Jordan has been a friend of the Shoebotham family since age eight and started working for Apex BASE after graduating from High School in 2016. He’s quite proud of his nickname “No Toe,” which he earned after losing his big toe (right) in an off-road accident. 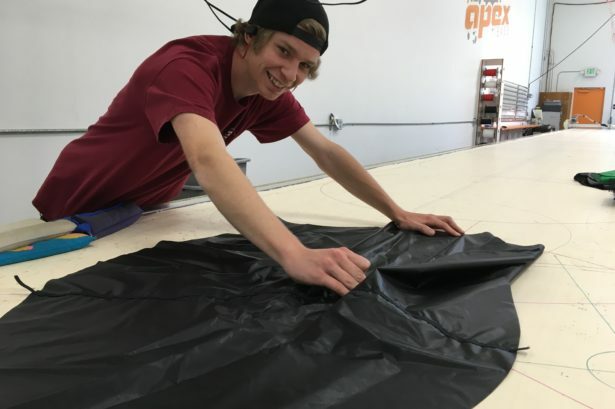 Jordan is a true utility player here in the shop where he helps primarily with accessory construction and the initial stages of container and canopy production. You might not recognize the woman standing between Apex BASE founders Todd Shoebotham and Anne Helliwell…but she is one of the biggest contributors to BASE history in the world. Francisca “Francis” Wigginton retired in 2018 as the lead canopy builder for Apex BASE after a 20+ year career. Over those 20 years Francis built many thousands of canopies and if you’ve ever flown a FOX, FLiK, FLiK II, Lobo, or Lynx (with a DOM 2017 or earlier) there’s a 100% chance that she had a hand in its construction. We are confident that nobody on the planet has built more BASE canopies than Francis. Francis maintains a consulting role with Apex and assists us in training new employees in the art of canopy assembly. In her retirement Francis is enjoying more time with her children, her grandchildren, and her great grandchildren. Working with Francis has been an absolute privilege. At Apex our employees are family, and it’s an honor to watch our employees thrive personally and professionally. Apex BASE has family members all over the planet. Countless jumpers have worked in our shop, taken our courses, joined our expeditions, and stood on exit points with us since the earliest days of BASE jumping. Here are a few notable people who are no longer part of Apex, but we still consider them family. Steve Doherty worked in the Apex shop from 2007 through 2016. He’s been skydiving since 1997 and BASE jumping since 2007. 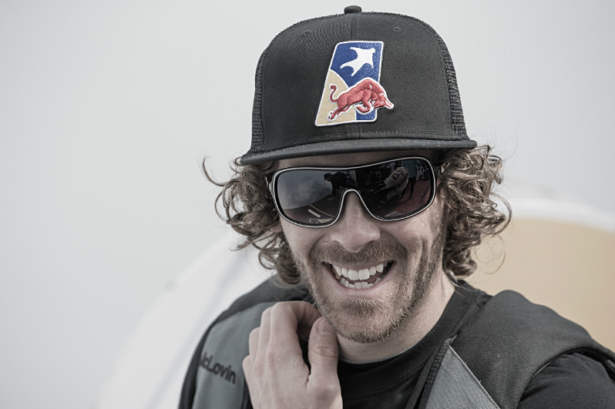 When he’s not skydiving and BASE jumping; he enjoys speedflying, paragliding, and all-things outdoors. 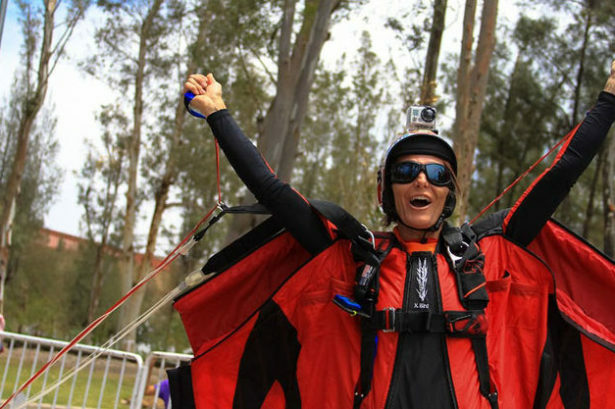 Annie has been BASE jumping for over 35 years with 1400+ BASE jumps and skydiving for more than 37 with 10,000+ skydives. Co-founder and former co-owner of the first BASE manufacturing company, Basic Research (now Apex BASE). While at Basic Research Annie focused on building parachute equipment for BASE jumping, teaching first jump students, leading international BASE expeditions, and working on several television programs and commercials. She has 3 skydiving world records and several awards from BASE jumping competitions. 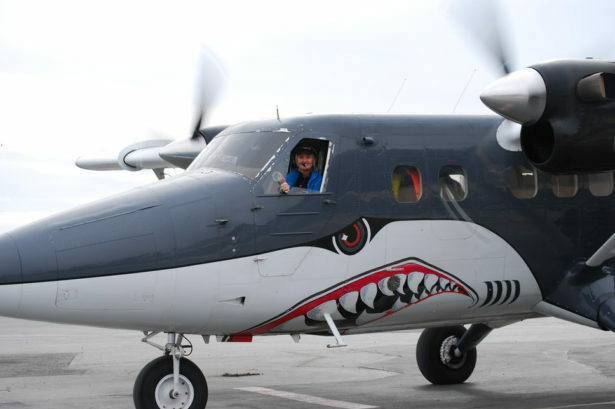 Annie is also a skydiving pilot, flying PACs, Caravans, and Twin Otters at dropzones around Southern California. Annie is a skydiving Instructor, Tandem Instructor, and FAA Master Parachute Rigger. Annie is also a trauma nurse at a level 1 trauma center in California. In short, Annie has done it all, and continues to do it all! Mike worked with us in the Apex shop from 2014 to 2017. Mike earned his senior rigger ticket while at Apex, and did a little bit of everything from rigging to shipping and sales. 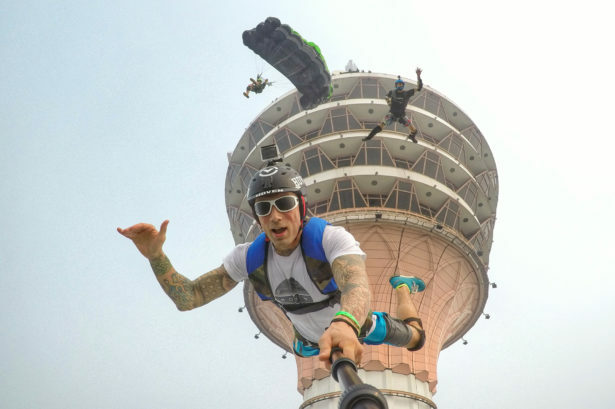 He has been skydiving since 2012 and BASE jumping since 2013. When he isn’t jumping Mike enjoys skiing, hiking, and spending time outdoors. 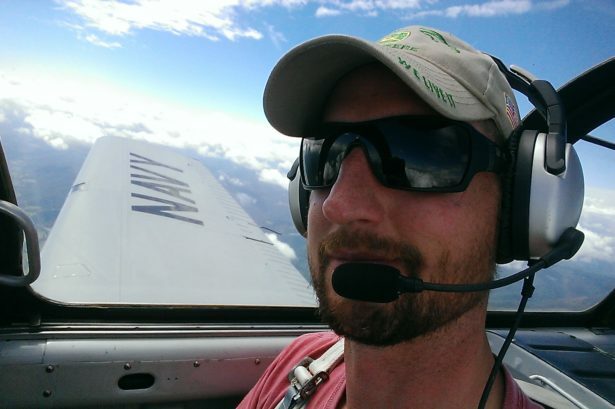 He now works as a Tandem Instructor and lives in Tahoe, California.